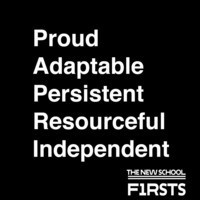 In collaboration with NYU's Proud to be First, celebrate National First Gen day at TNS from Nov5 - Nov 8. Week long activties include faculty/student lunch, networking, a write-in to local representatives, and much more! The ‘First 90’ series addresses what it is like to be a first generation college student and how to make your mark during your first 90 days at The New School. Organised by The New School F1RSTS, this event is open to all first generation collge students.